Product prices and availability are accurate as of 2019-02-15 11:15:43 GMT and are subject to change. Any price and availability information displayed on http://www.amazon.com/ at the time of purchase will apply to the purchase of this product. 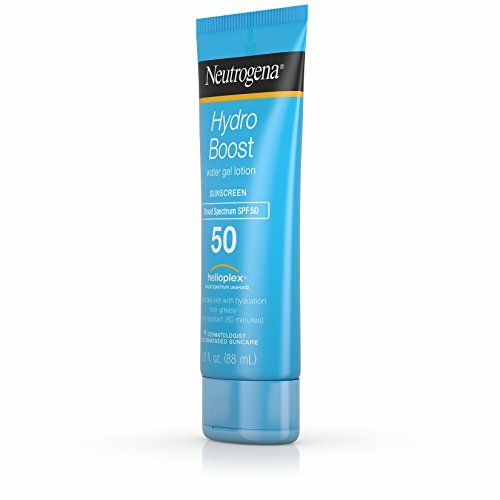 Neutrogena Hydro Boost Water Gel Lotion Sun Block with Broad Spectrum SPF 50 provides superior broad spectrum UVA/UVB defense and hydration with a water-light, rejuvenating feel. 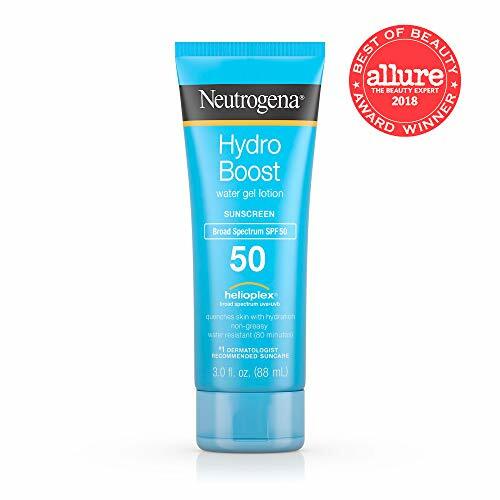 This waterproof sunscreen lotion with SPF 50 leaves skin looking healthy and moisturized for approximately eight hours without any oily residue or white marks. 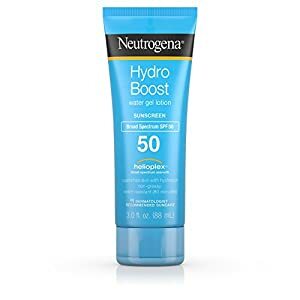 The non-greasy sunscreen has a light, clean feel and layers invisibly under makeup. Neutrogena Hydro Boost Water Gel Lotion Sun Block with Broad Spectrum SPF 50 is oil-free, and non-comedogenic, which means it won't clog pores.